By today's standards, Colonial America wasn't exactly bursting at the seams, but it was an agrarian economy, and fertile, cheap land was highly valued. Thus, many entrepreneurs like Colonel Richard Henderson found the vast territory west of the Allegheny Mountains too enticing to pass up. His Transylvania Company could reap a fortune in land sales if only it could overcome resistance from Indians, similarly unfriendly political forces in Virginia, and the treacherous mountains. 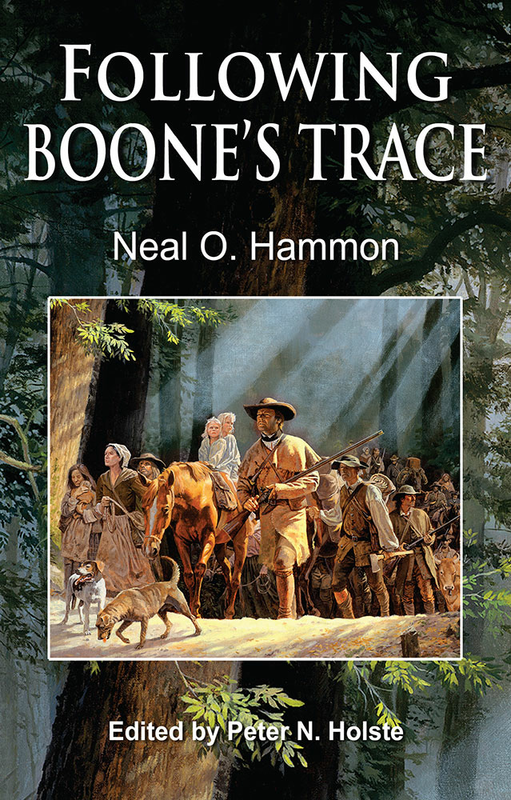 So Henderson hired Daniel Boone, the experienced long-hunter who was familiar with the territory, to carve a route into Kentucky for land-seekers. Now, 241 years later, author Neal O. Hammon has written Following Boone's Trace, which precisely details that route Boone took through the wilderness. Hammon touches on interesting stories, the successes and failures, and the unintended consequences of Boone's journey — for which we all are richer. In the words of Richard Taylor, former Kentucky Poet Laureate, "Hammon's meticulous, stubborn research makes him the dean of living Kentucky frontier historians." The Kentucky where almost four and one-half million people live today is very different from the Bluegrass region that its forefathers — the intrepid pioneers of the eighteenth century — were drawn to explore and settle. But however much the physical features of the Bluegrass State are amended to accommodate its present population, Following Boone's Trace reminds us that the exciting legends of yesterday are still very much alive. Neal O. Hammon's life-long work as an architect may explain why he likes to plumb the depths of county courthouses and state agencies in search of important historical details that are otherwise overlooked. That has given Neal documentation for the books and many articles that he has published in historical journals over the past half century — and an excuse to motor from one end of the state to the other, while envisioning the excitement that Kentucky's pioneers experienced. A native of Louisville, Hammon's family ties to Kentucky began with an ancestor who fought the British at the Battle of Kings Mountain and later lived at Bryan Station. Neal earned his bachelor of science degree in architecture from the University of Illinois, and served as a Navy officer during World War II and the Korean War. He also studied at Purdue, the University of Michigan and the Ecole d'Art Fontainebleau in France.